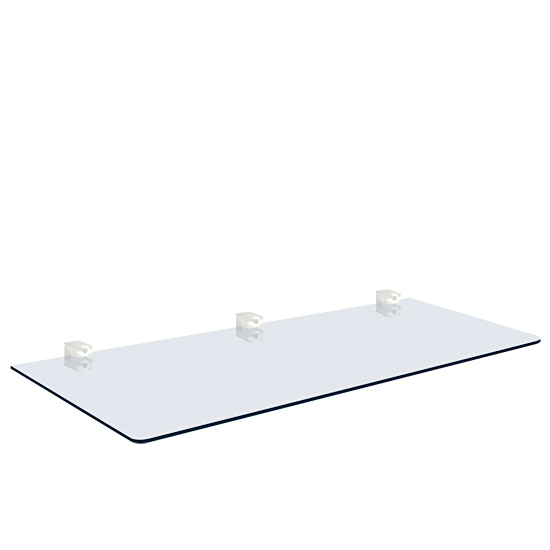 Glass shelf attaches to the wall using chrome shelf supports (see picture below). The supports screw directly into the wall using a standard screw. 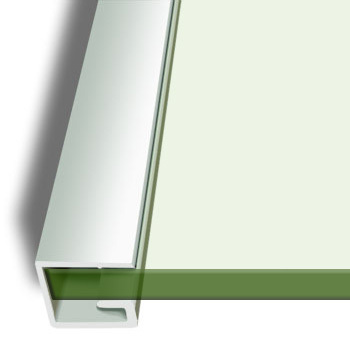 The glass shelf is placed into the support and the bolt tightened. Very popular in modern bathrooms!